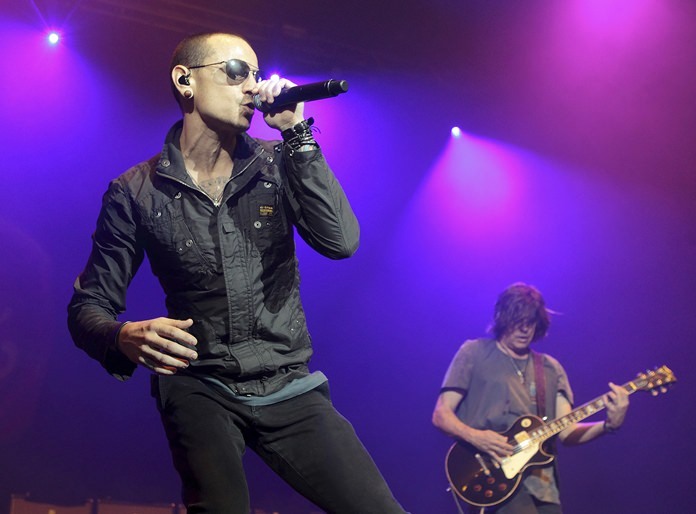 New York (AP) — The death of Linkin Park frontman Chester Bennington last week came as a surprise to the world when it was announced, but it also struck similarities to the death of fellow rocker and close friend Chris Cornell, who killed himself in May. Authorities are investigating Bennington’s death as an apparent suicide, Los Angeles County coroner spokesman Brian Elias said. Bennington, who was 41, was found dead in his home near Los Angeles. He had a strong bond with Cornell and died on what would have been the Soundgarden singer’s 53rd birthday. Bennington was also the godfather to Cornell’s 11-year-old son, Chris. And Bennington sang Leonard Cohen’s “Hallelujah” at Cornell’s memorial. The Cornells called Bennington a member of their family in a statement released last week. Linkin Park was set to go on a North American tour starting this week but has since cancelled all dates. Bennington helped Linkin Park, whose sound mixed rap and rock, become one of the most commercially successful acts in the 2000s. The Grammy-winning group sold more than 10 million copies of their 2000 debut, “Hybrid Theory,” which featured the megahit and anthem, “In the End.” They sold another 6 million with 2003’s multiplatinum “Meteora.” Both albums explored feelings of frustration and fury. The success helped Linkin Park become the U.S. Billboard’s No. 1 act of the decade for rock songs and alternative songs. “Chester Bennington was an artist of extraordinary talent and charisma, and a human being with a huge heart and a caring soul. Our thoughts and prayers are with his beautiful family, his band-mates and his many friends,” Warner Bros. Records CEO and Chairman Cameron Stang said in a statement.